Is Goa Ready for Eco-Bricks? The Goan Connection with H.. The Goan Newspaper and Its..
Poets and Writers Evening .. The House at 43, Hill Road..
A Music Festival for Peace.. Shackled No More by Mental..
Now Serving, Peas & Carrots! The Goan posro is basically your village corner shop which has been almost completely overtaken by the lure of bigger shops, shopping centres, and supermarkets. There was a time when people would take their cloth bags and containers to the posro to buy groceries. With the introduction of more and more packaged goods and plastic bags, things changed and eventually we were left to deal with the reality of overflowing rubbish generated from these store-bought purchases. 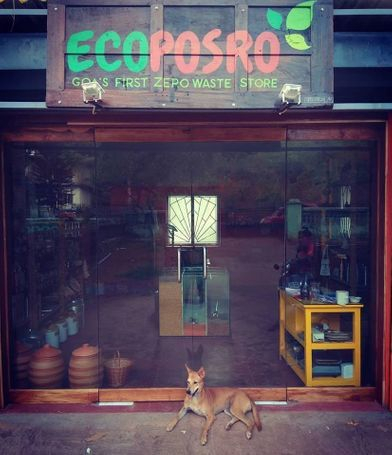 Now, we have the Goan posro in a resurrected avatar – the EcoPosro, Goa’s first and only zero waste store. After grappling with the garbage problem for years, Goa has a glimmer of hope to prevent the problem at the source. 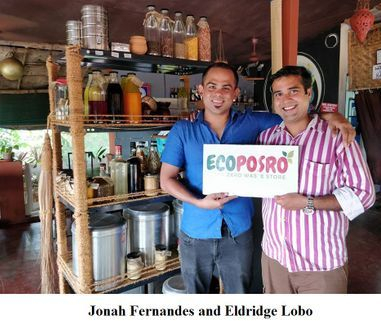 EcoPosro is the brainchild of Eldridge Lobo and Jonah Fernandes. The enterprising young men have been friends for years with a common leaning towards an eco-friendly lifestyle. Long before the idea of EcoPosro was conceived, they were part of clean-up drives along with other friends at their favourite hang-out spots like swimming holes, beaches and fields. Eldridge is a restaurateur who owns Eldou’s in Siolim and Jonah is a freelance underwater videographer. Being the owner of a Goan restaurant, Eldridge has experienced the enormous waste created as result of its operations. As he tried to shop more responsibly, he found the task unexpectedly formidable. This was the catalyst for the genesis of EcoPosro. ‘From then on the two of us worked and grew the concept into a full-fledged zero waste store,’ says Eldridge. Jonah says, ‘EcoPosro is like any other store, except it does not produce any harmful waste. 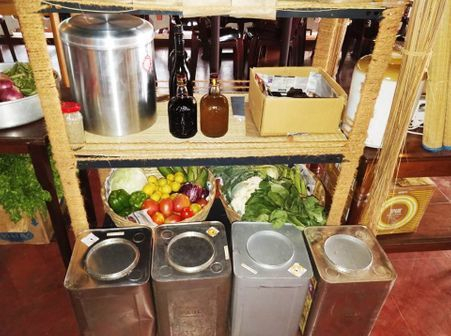 Like in the old days, people are encouraged to bring their own containers to fill up.’ The posro has dispensers like the glass ‘grain tanks’ made by their local fish tank maker that allow customers to choose items which are then weighed and can be taken away in a container brought in by the customer. The store has paper bags and glass jars (the glass jars can be bought on a deposit) on sale if you have forgotten your own container or do not have one. EcoPosro strictly follows the policy of Reuse, Reduce and Refuse. ‘Reuse’ is definitely something that is reflected in the collection of produce from vendors and its transportation in reusable containers (bamboo baskets, jute bags, etc). Household essentials such as grains, spices, cooking oils, basic groceries, and vegetables are available at EcoPosro. You will also find local produce like coconut vinegar, coconut oil, rock salt, and jaggery obtained from various villages in North Goa. The section with zero waste detergents, cleaners and toiletries like soaps, toothbrushes, toothpastes, toilet paper, cloth sanitary pads, etc will satisfy any customer’s desire to reduce the production of waste. 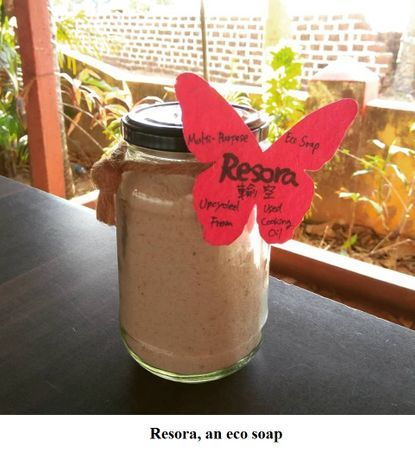 One of the many wonderful products at EcoPosro is a multipurpose soap called Resora made from upcycled used cooking oil by Marie Saito. There is a small cosmetic section with products made from natural ingredients and other items such as steel tiffins, copper water bottles, and a few stationary items made from recycled paper and tetra pack. Any packaging used is minimal and is mostly biodegradable. EcoPosro stocks both organic and non-organic produce because organic produce is more expensive and the store’s focus is to meet the needs of a larger market, consequently making the concept of plastic-free shopping accessible to all. EcoPosro is here to help us make the change that can rescue Goa from an inundation of plastic and other waste. It is now up to us to modify our lifestyles to make a difference. 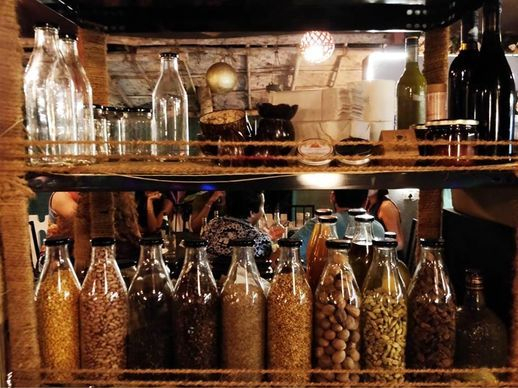 Visit Goa's first zero waste store which is located at Parra. If you cannot make it to the store, a delivery facility is available (WhatsApp/ call at 9823550123 or 9923128169).